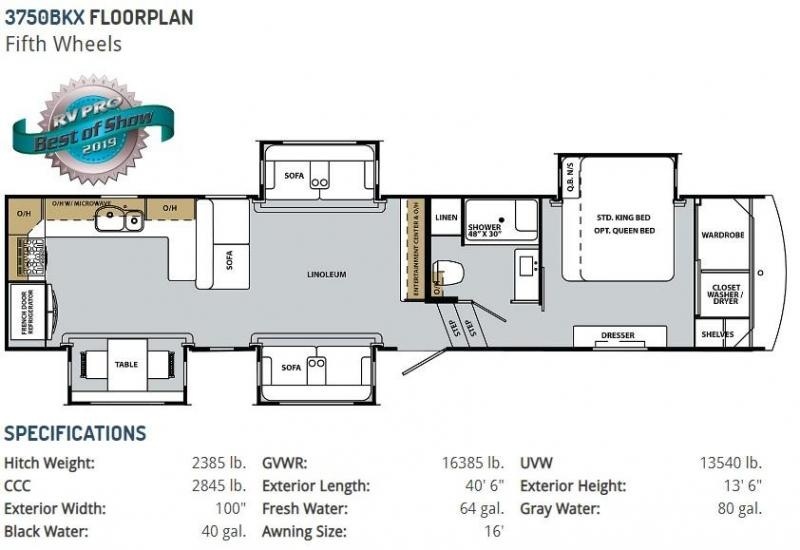 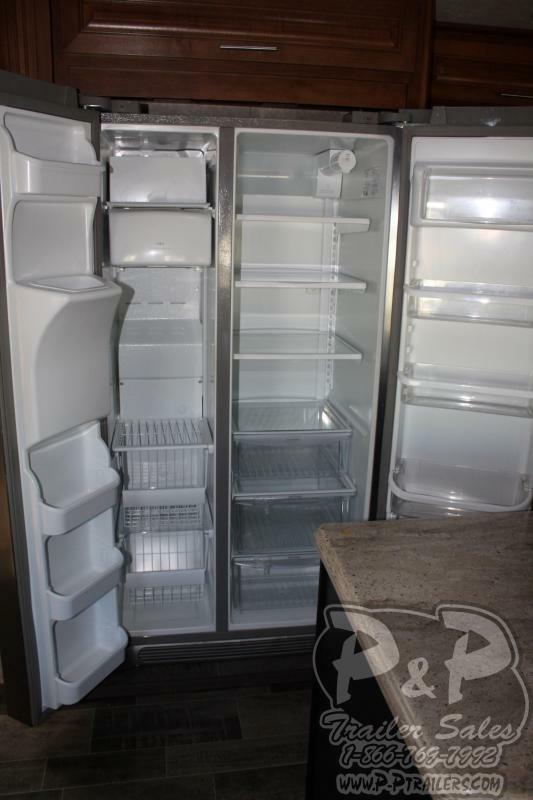 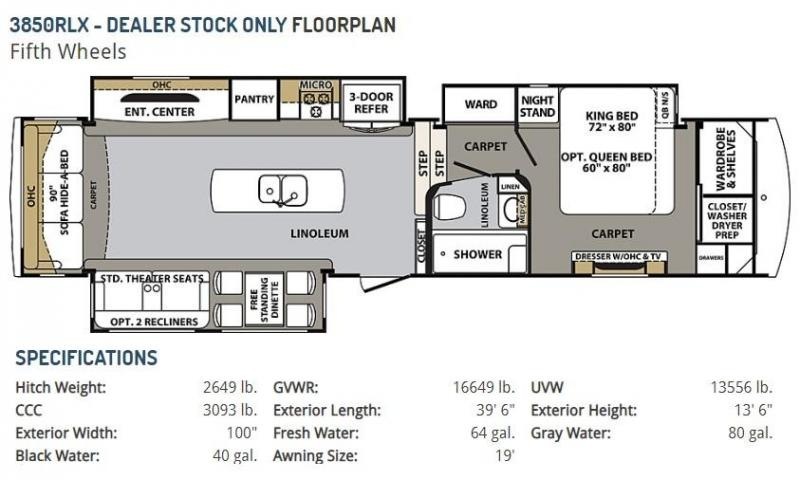 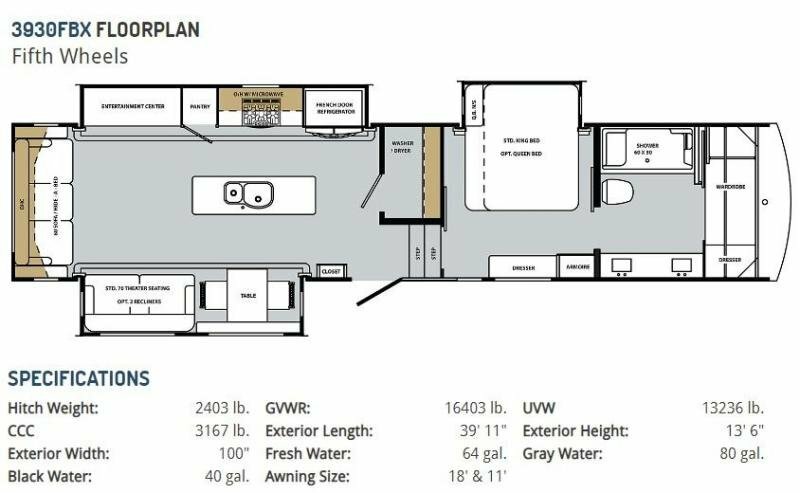 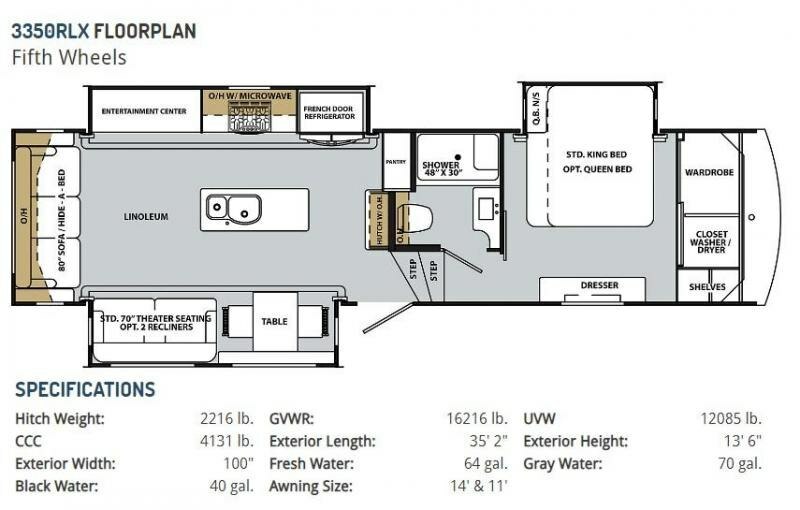 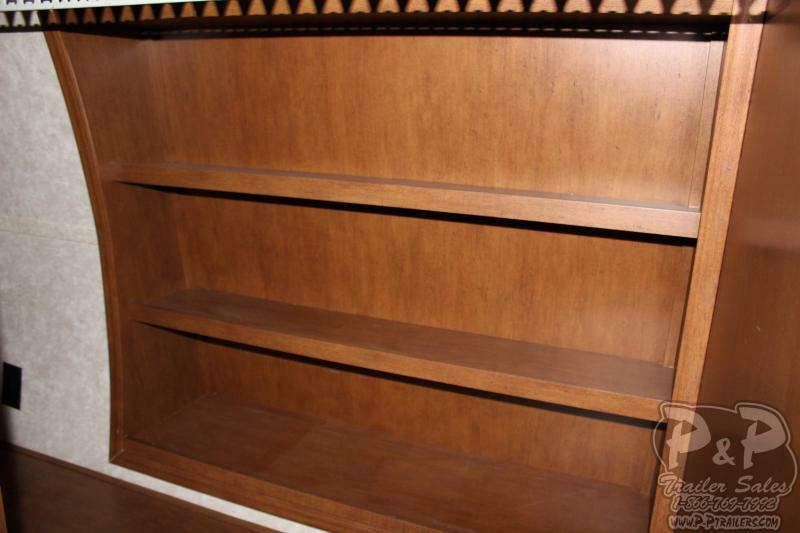 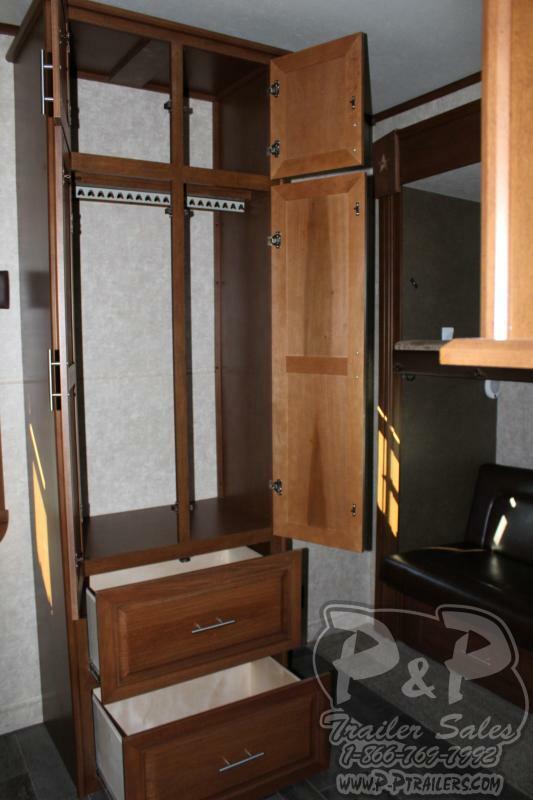 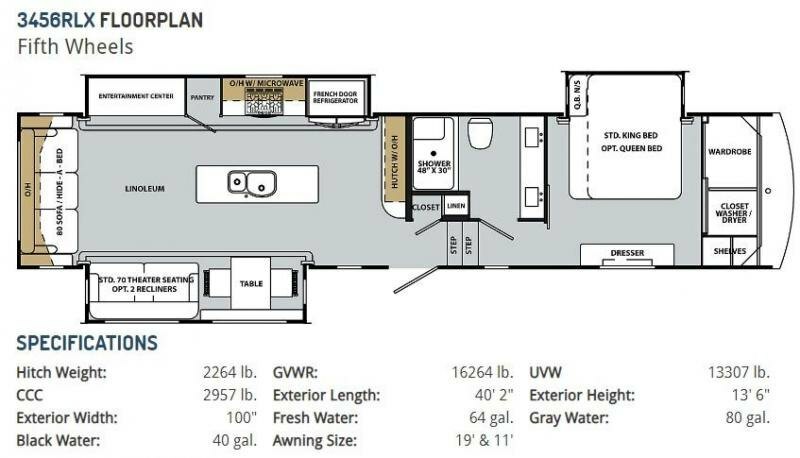 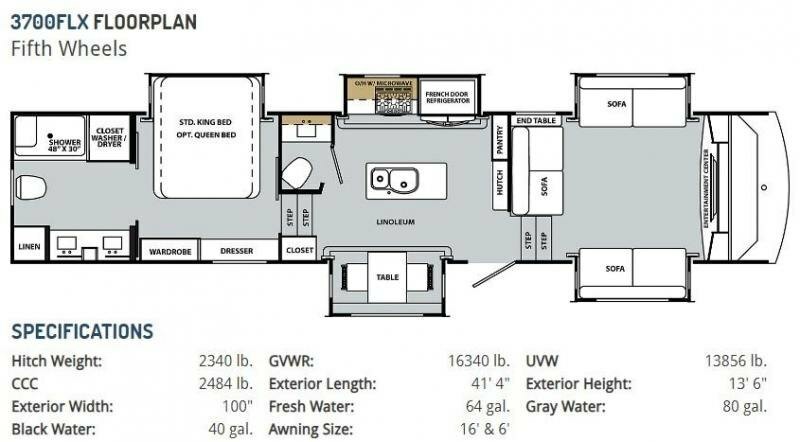 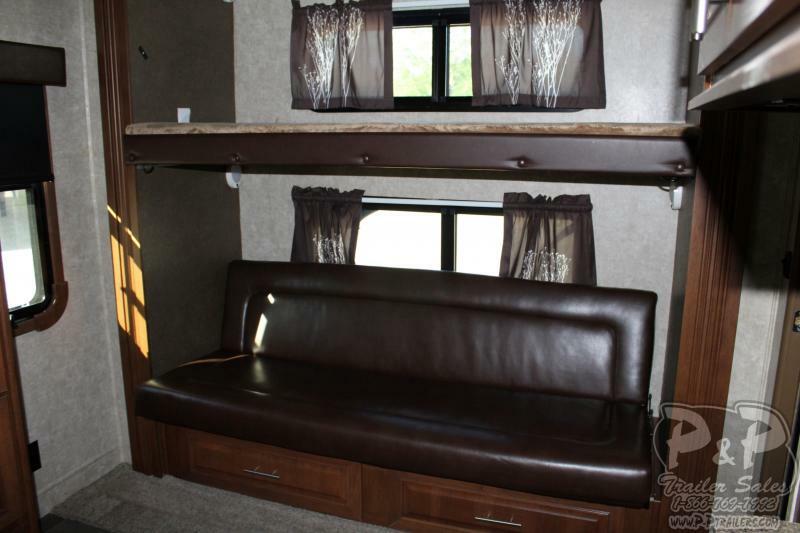 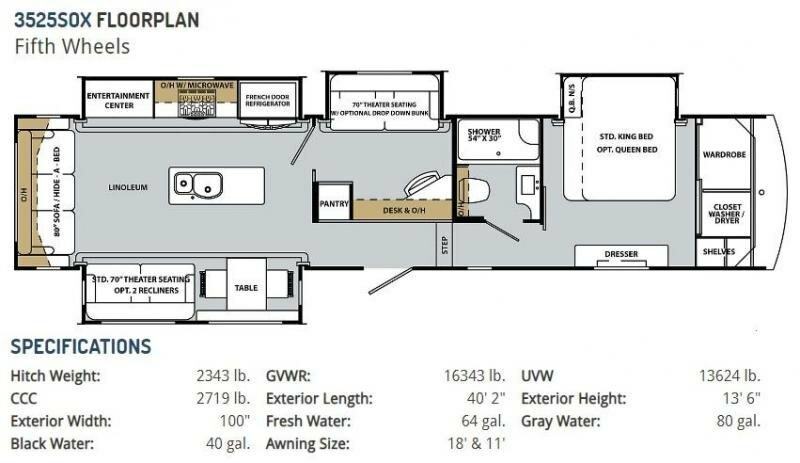 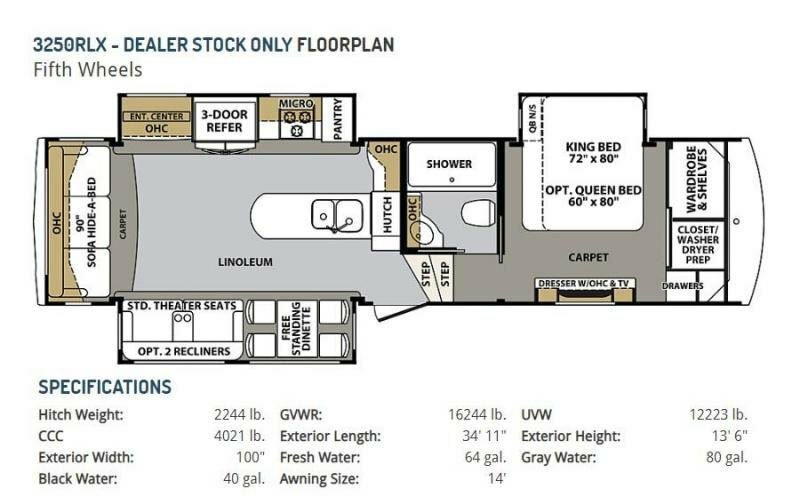 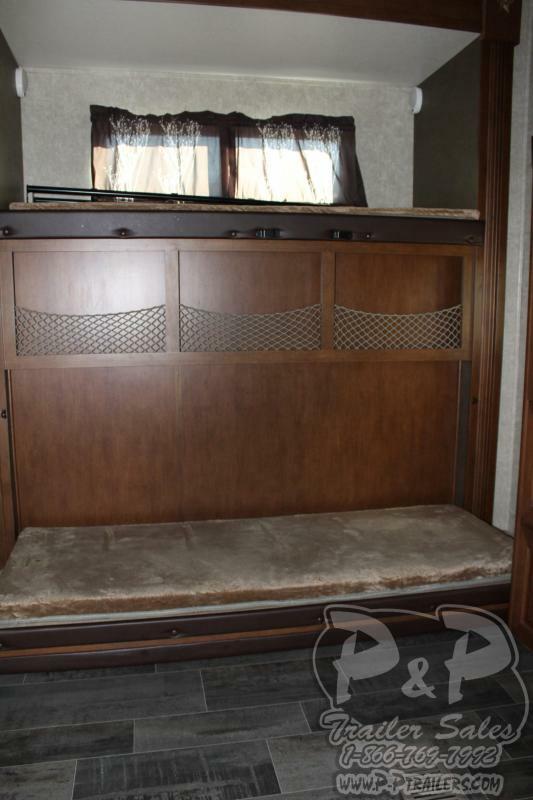 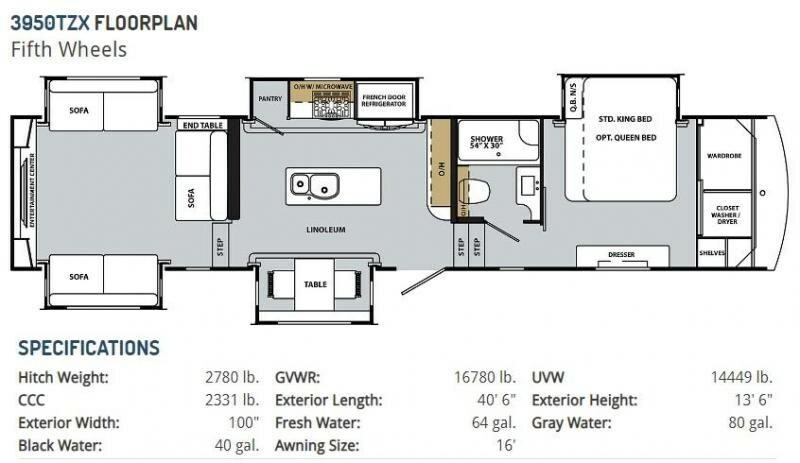 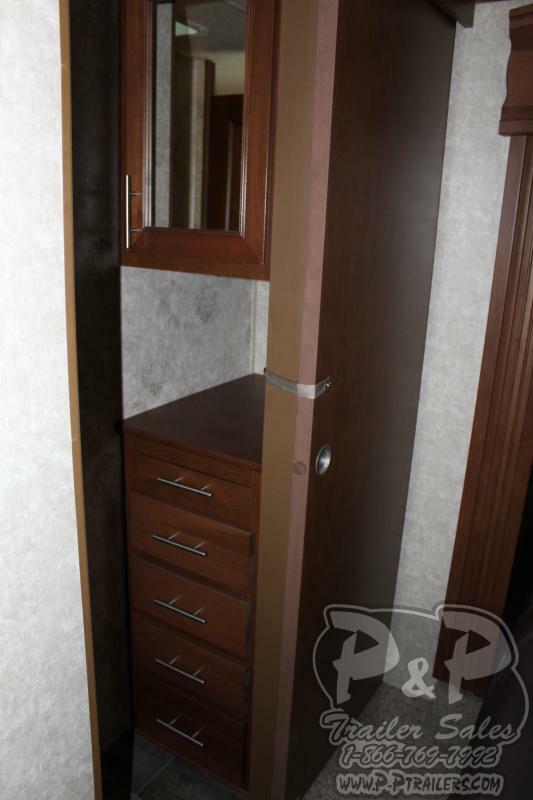 Beautifully designed trailer with so much space! 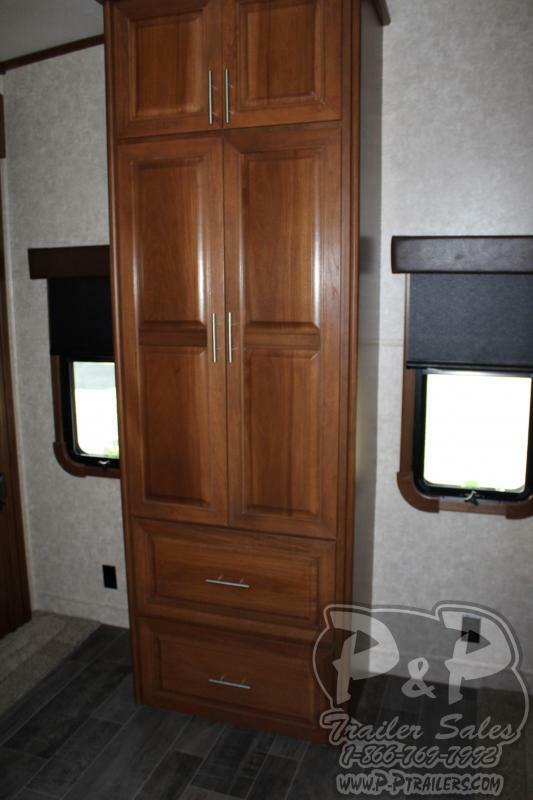 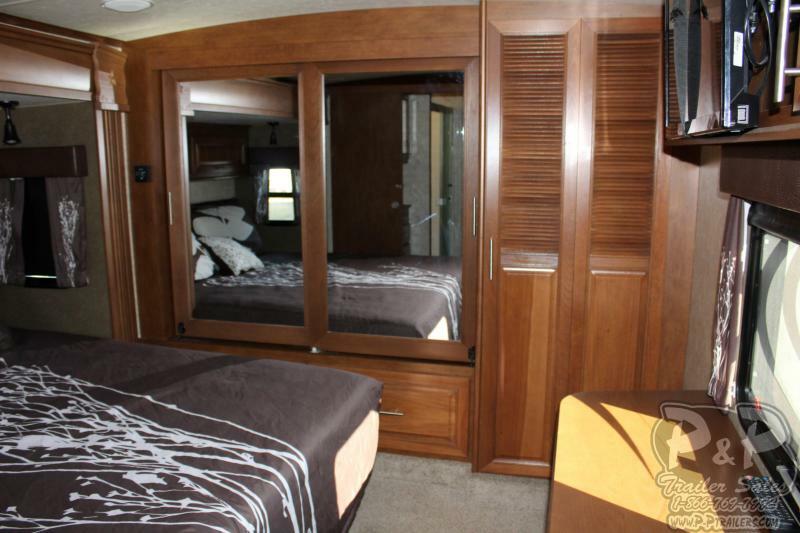 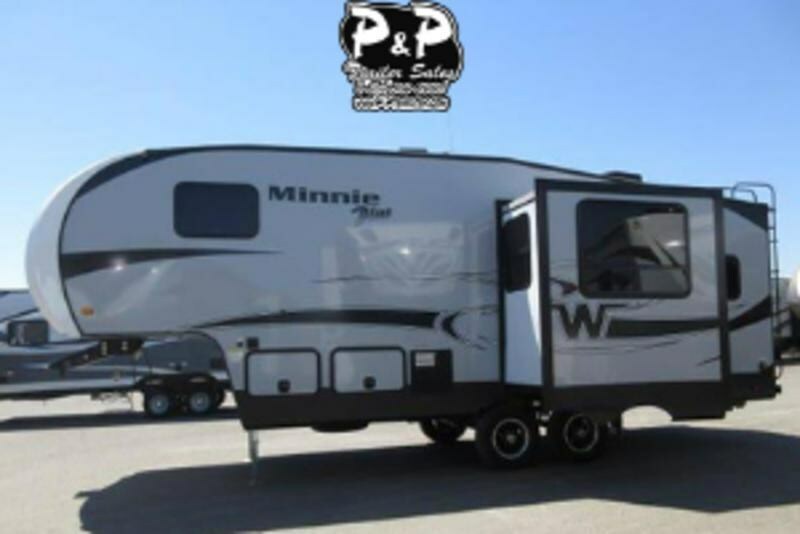 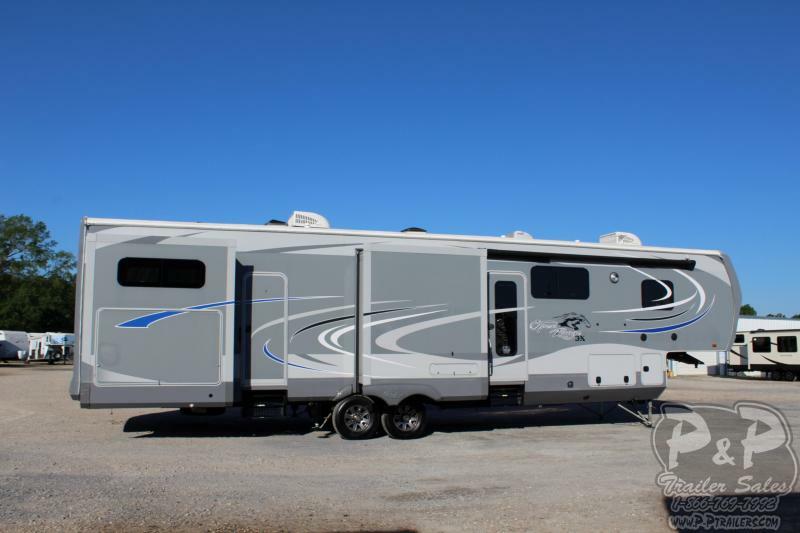 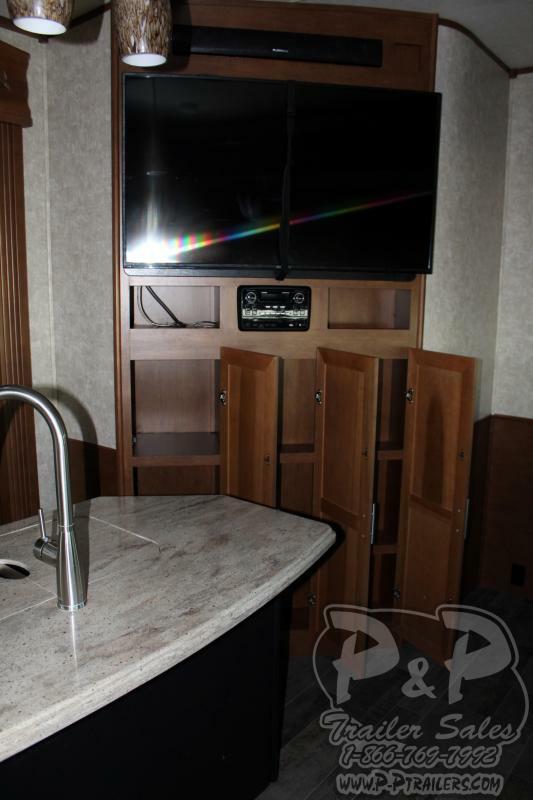 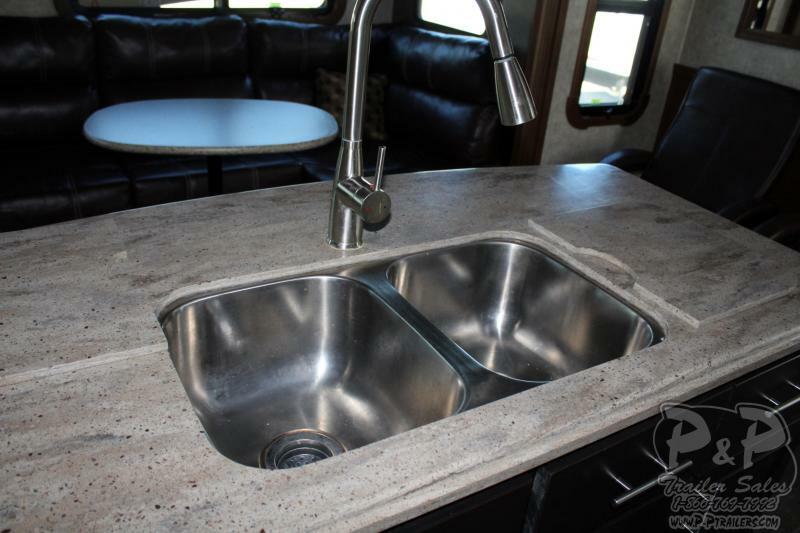 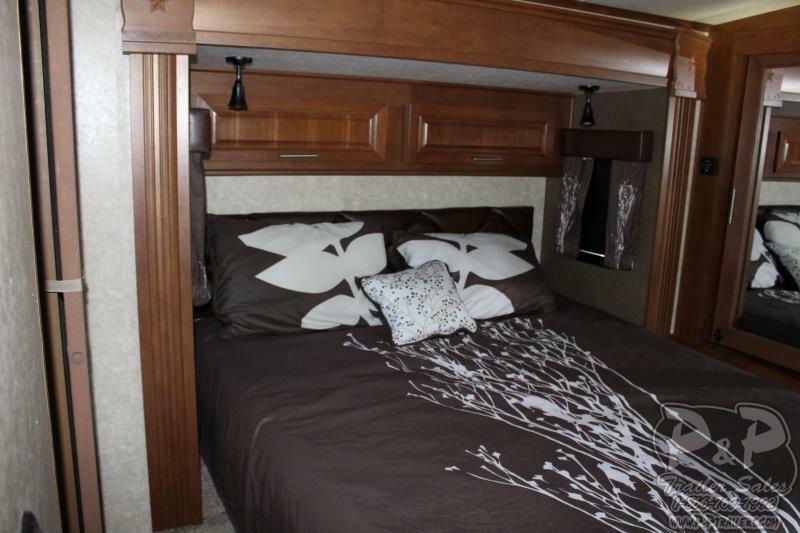 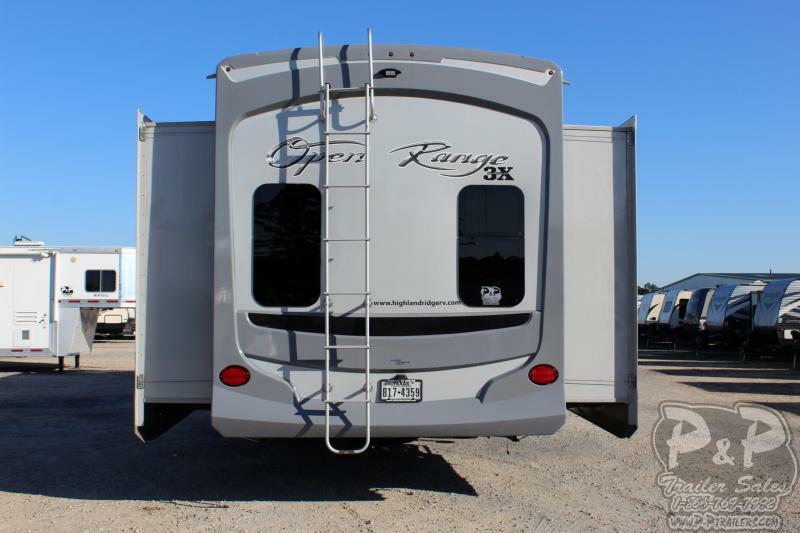 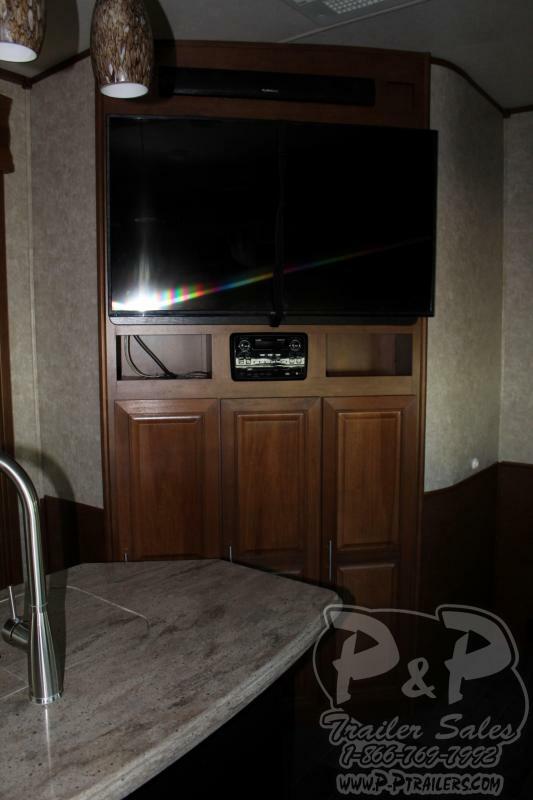 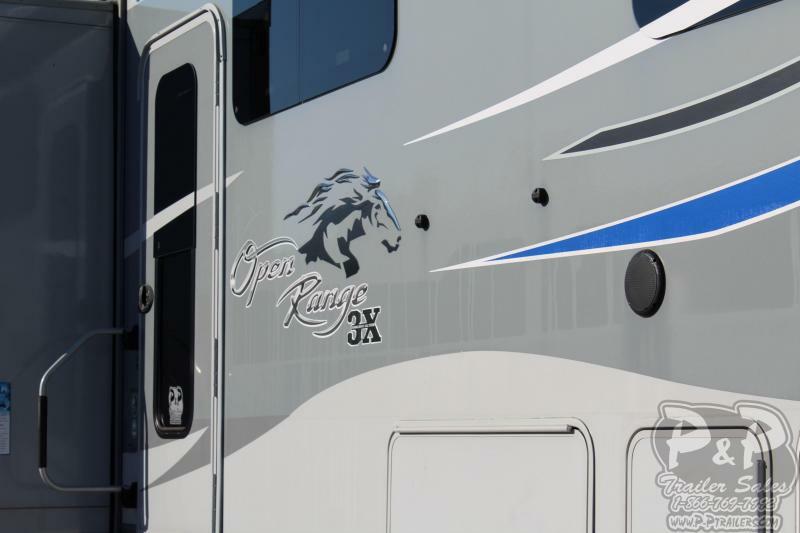 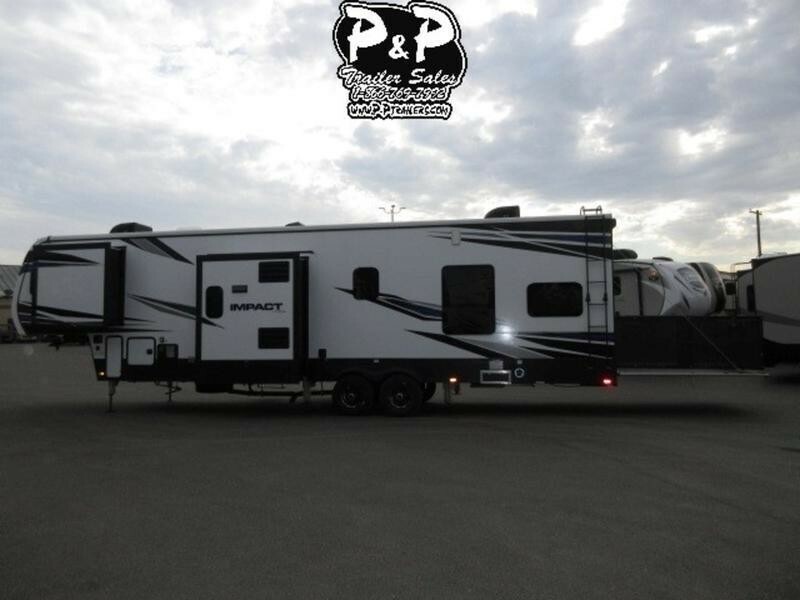 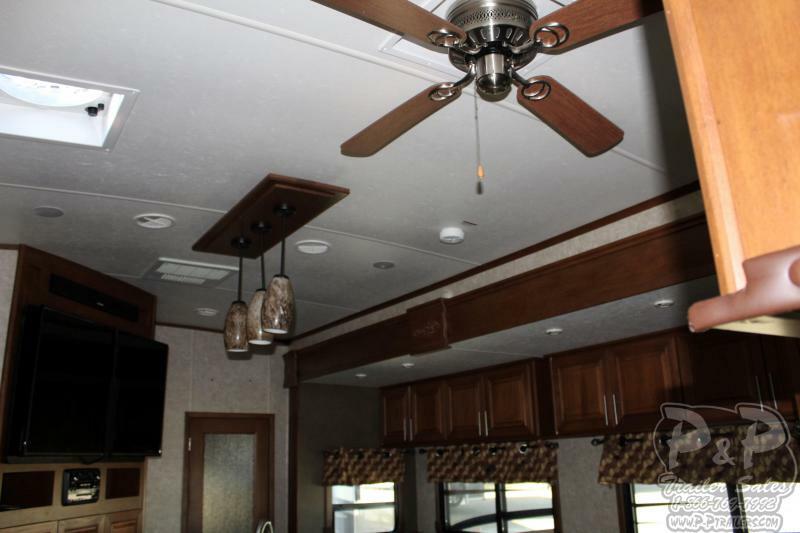 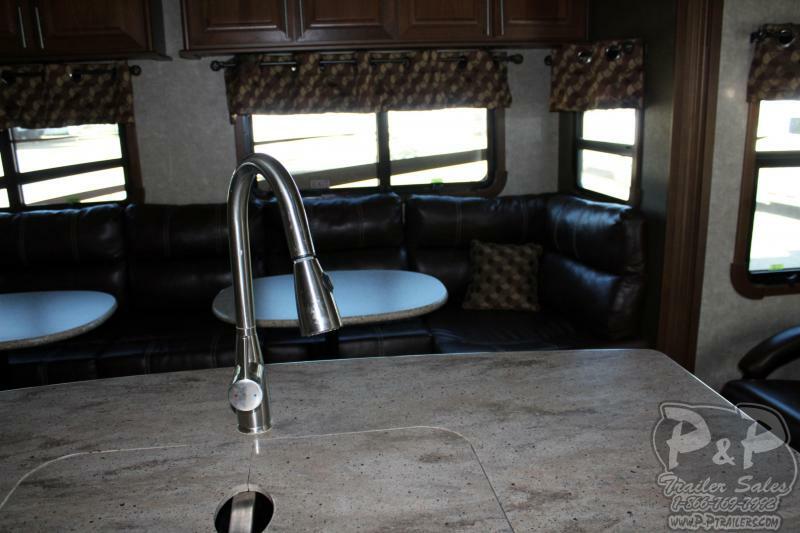 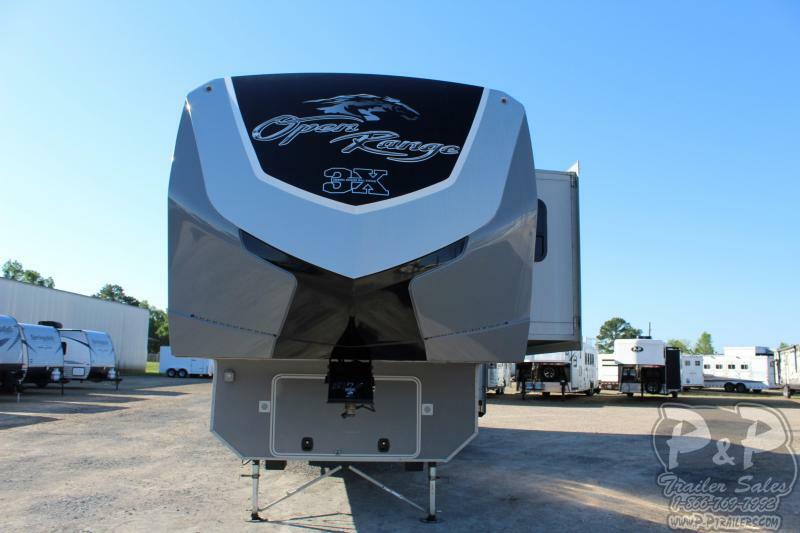 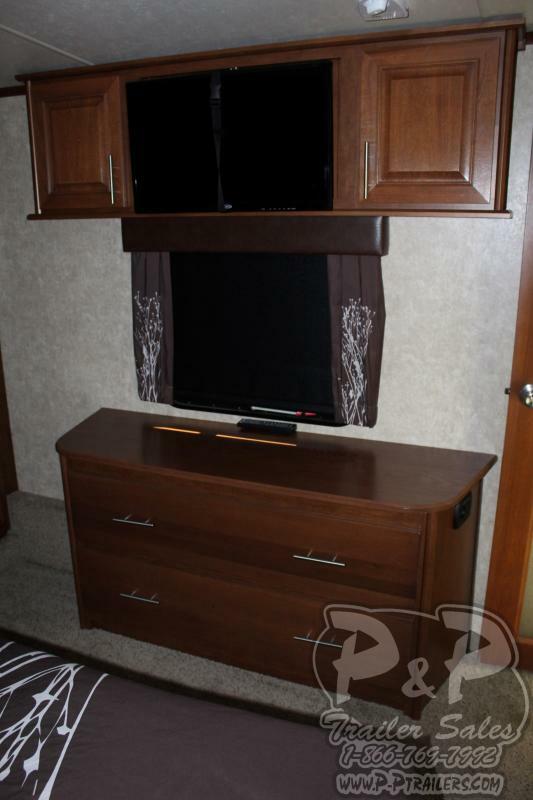 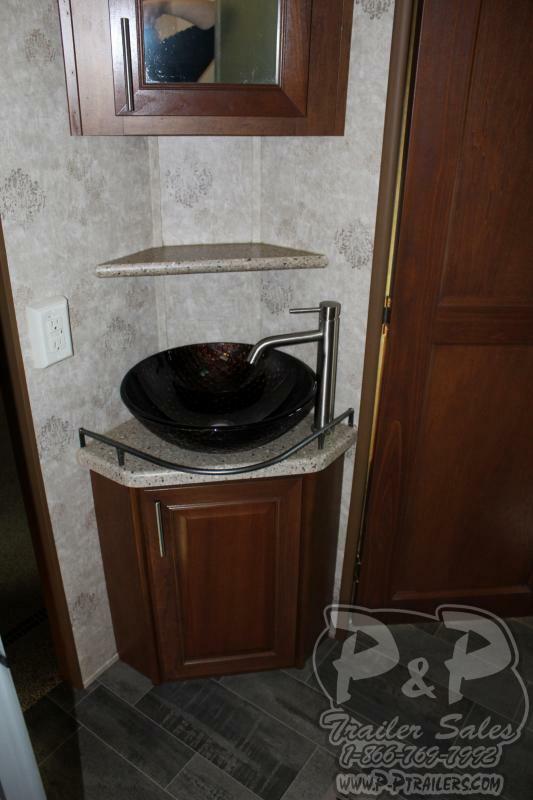 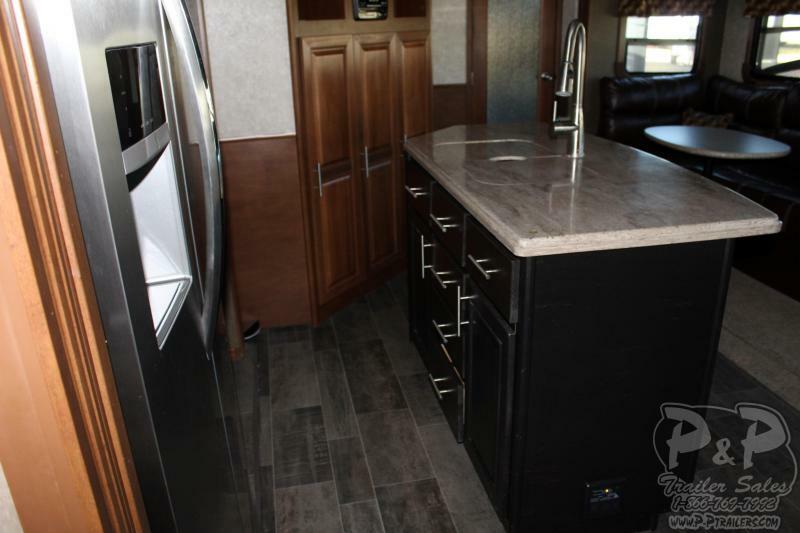 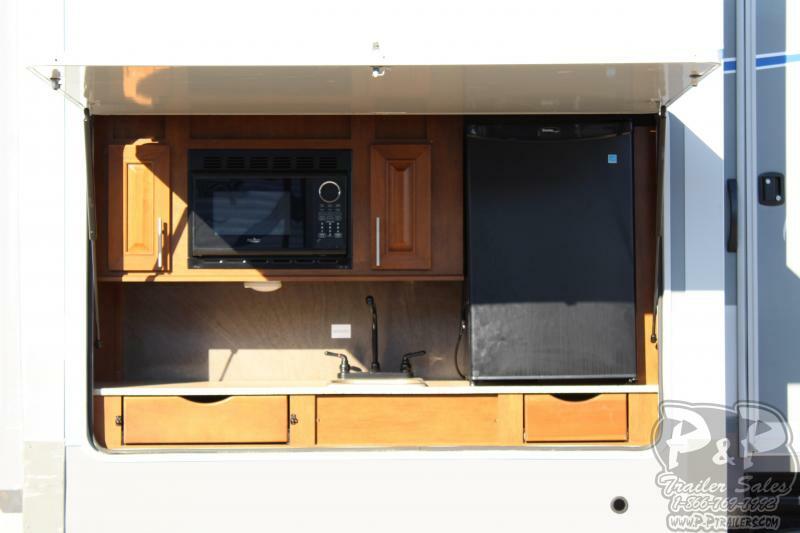 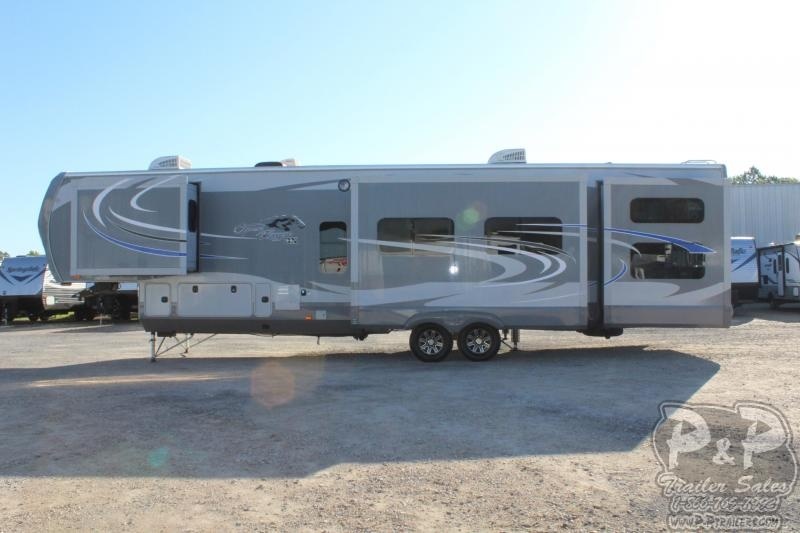 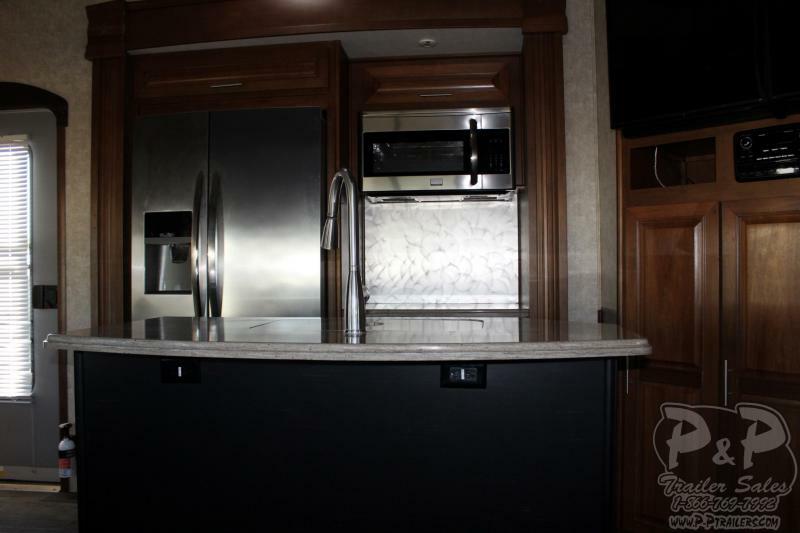 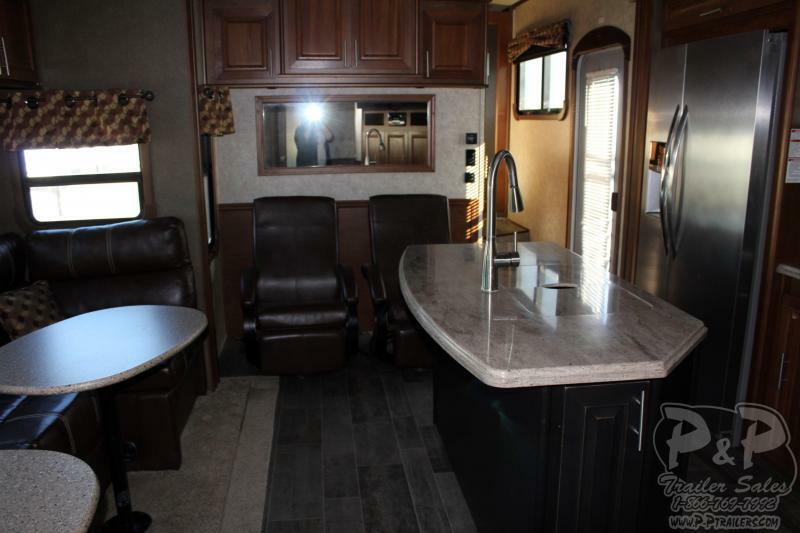 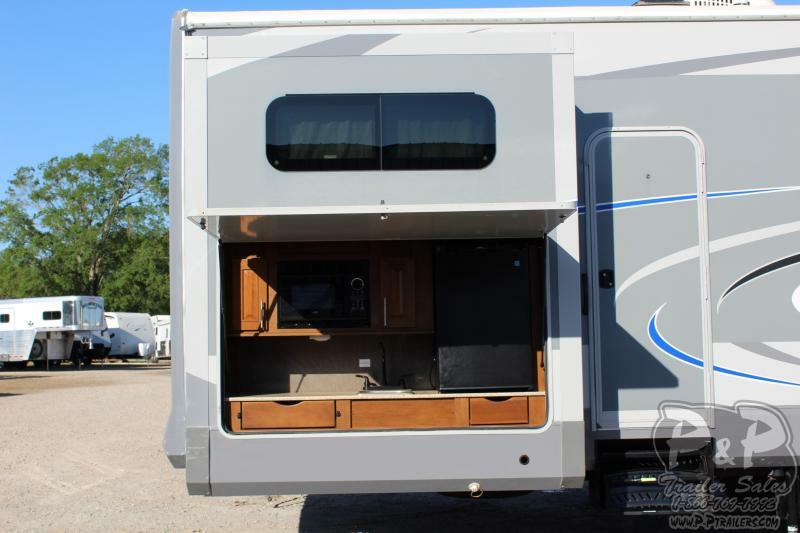 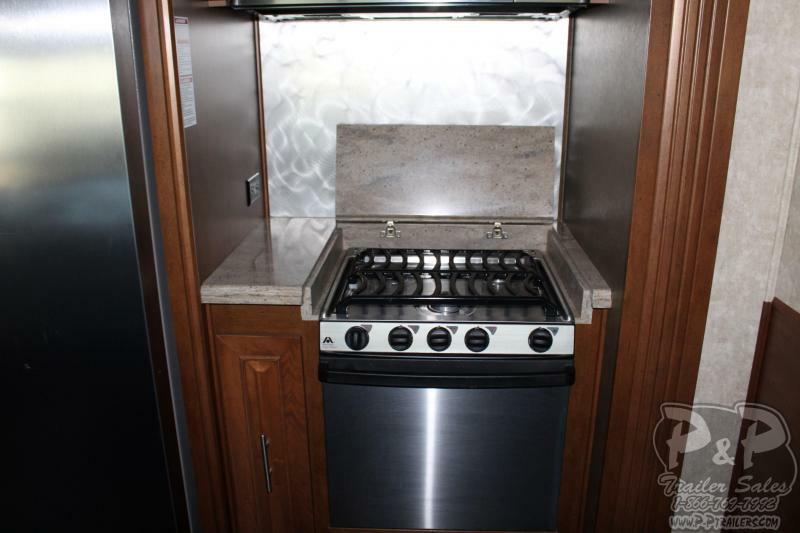 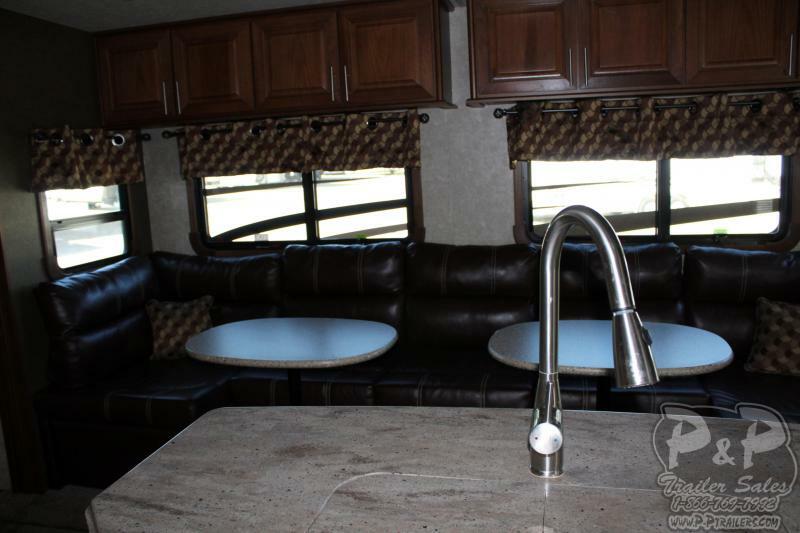 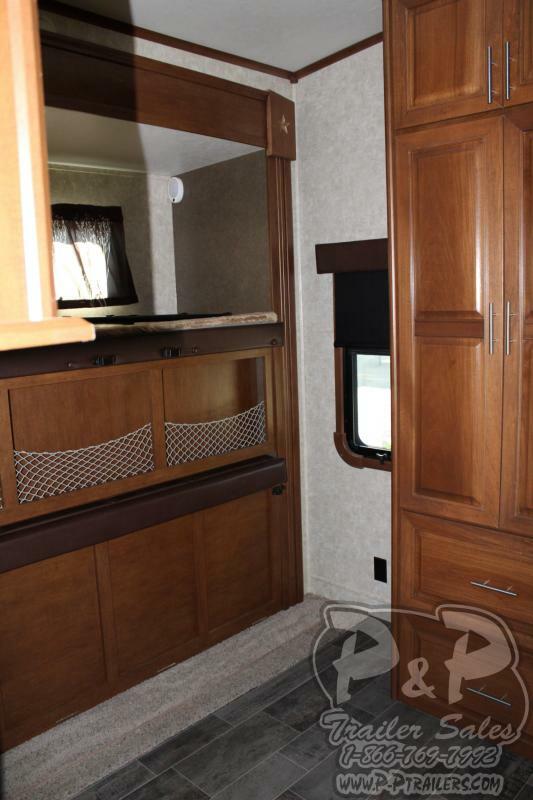 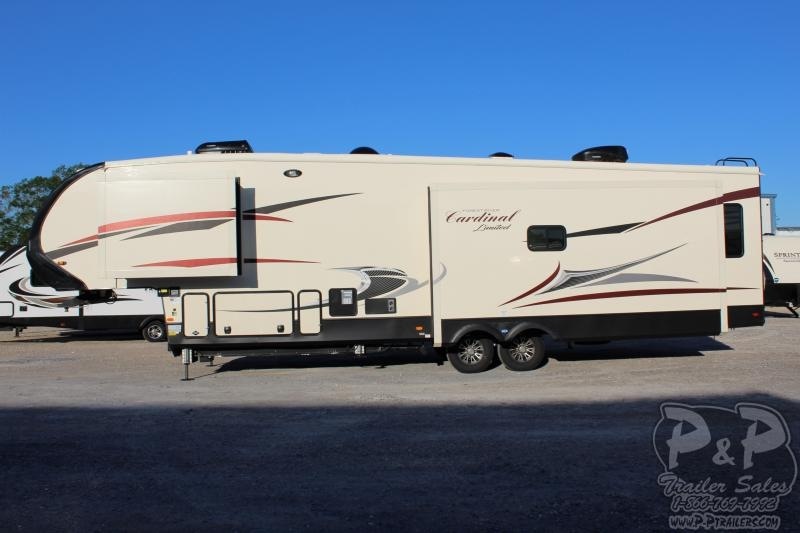 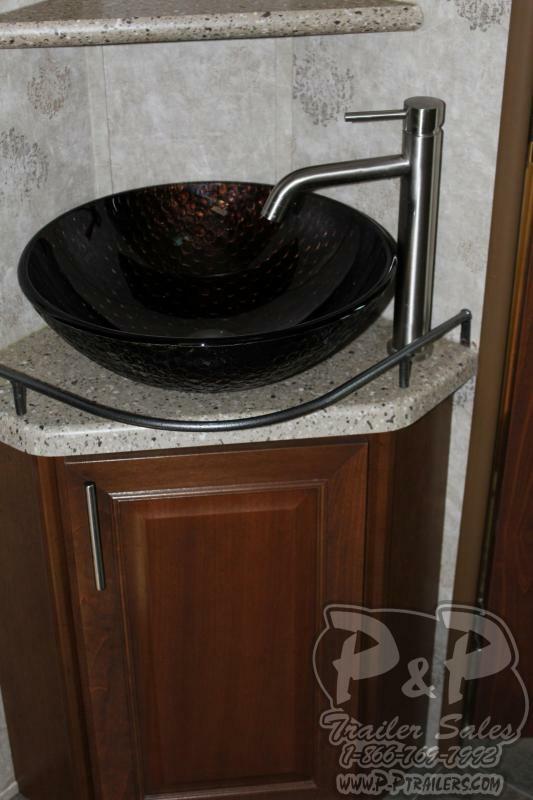 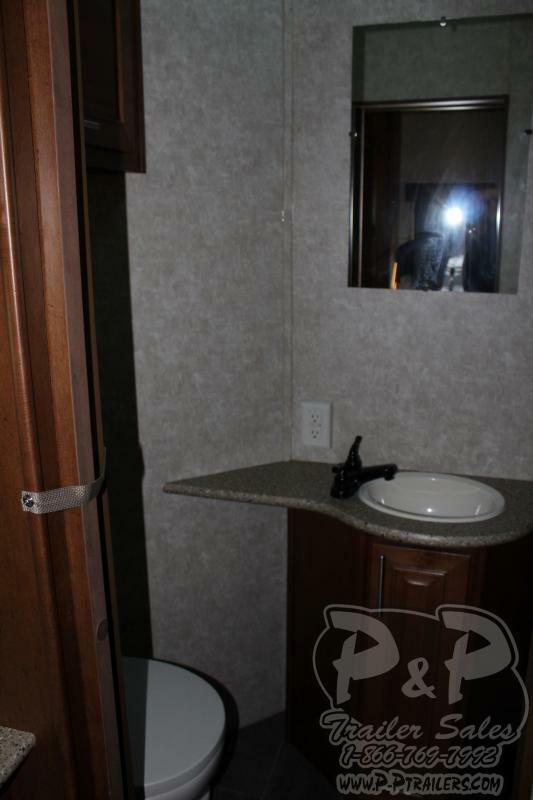 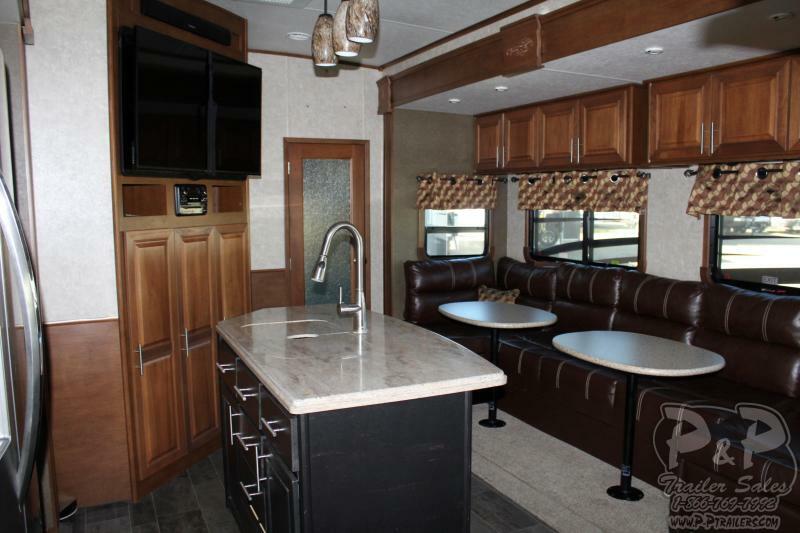 This fifth wheel is fully loaded with everything you need for a weekend getaway or an extended vacation. 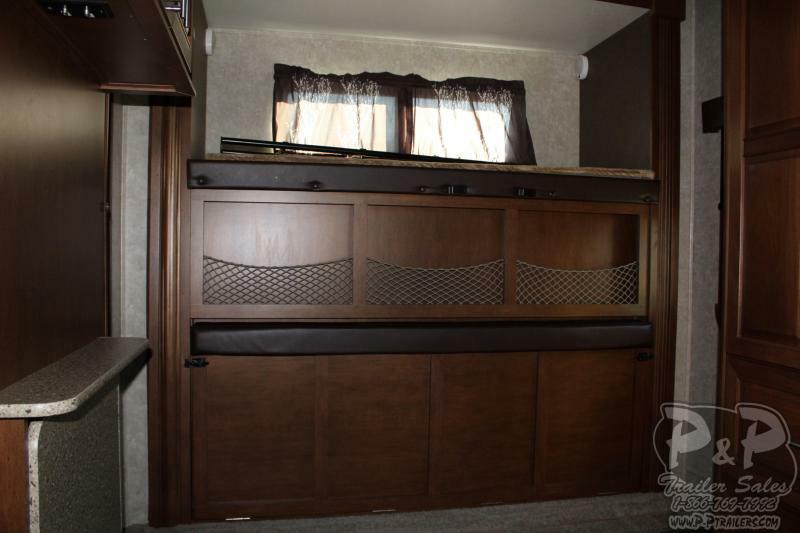 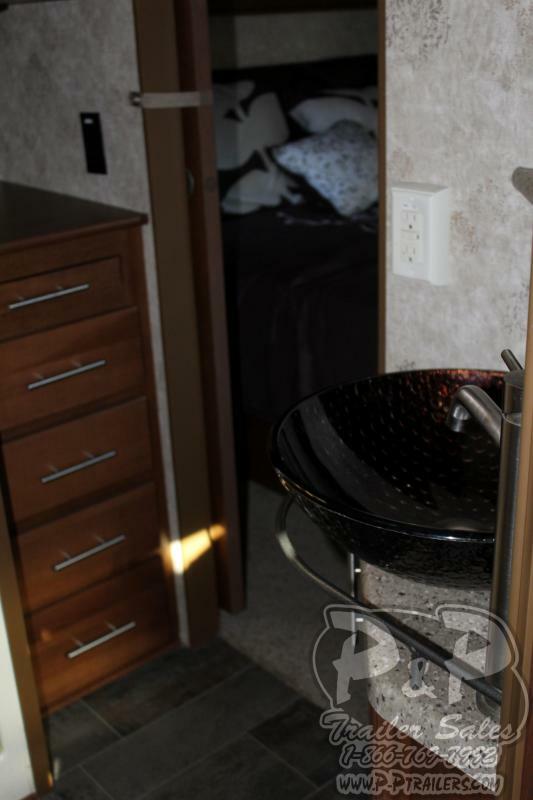 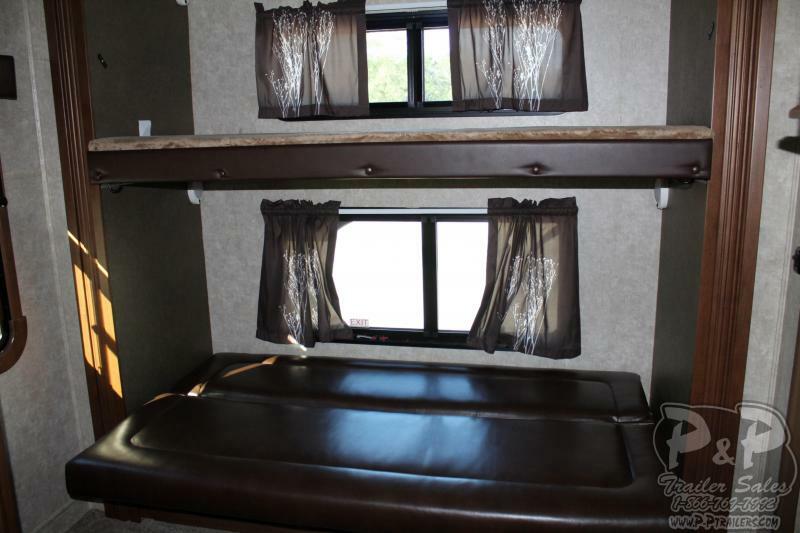 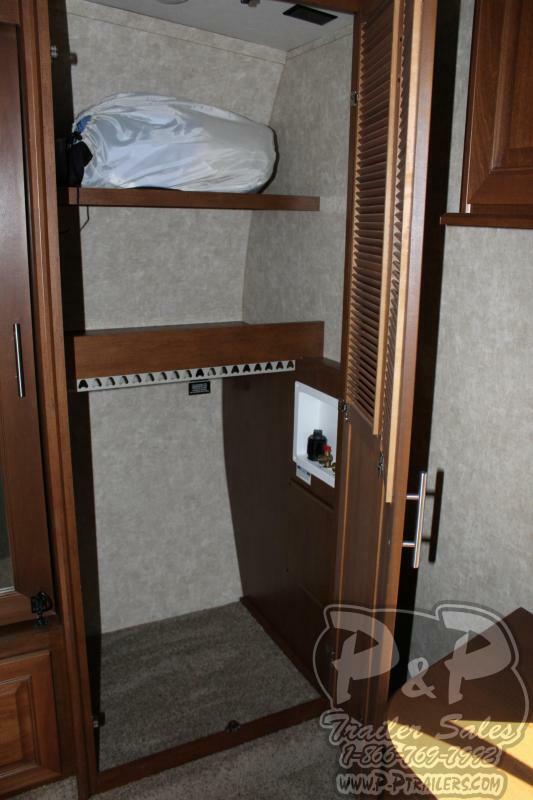 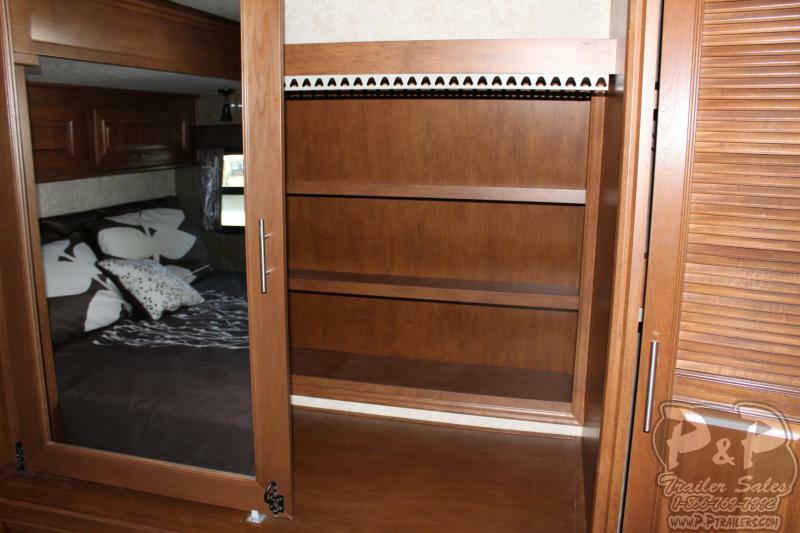 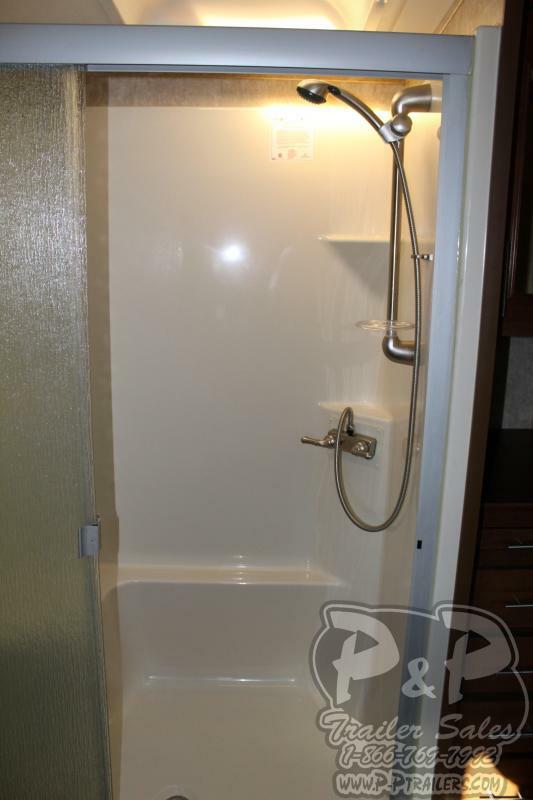 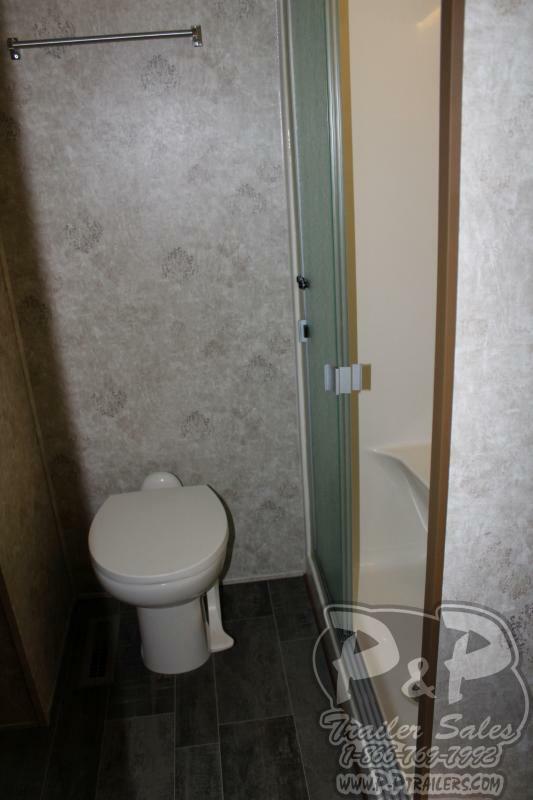 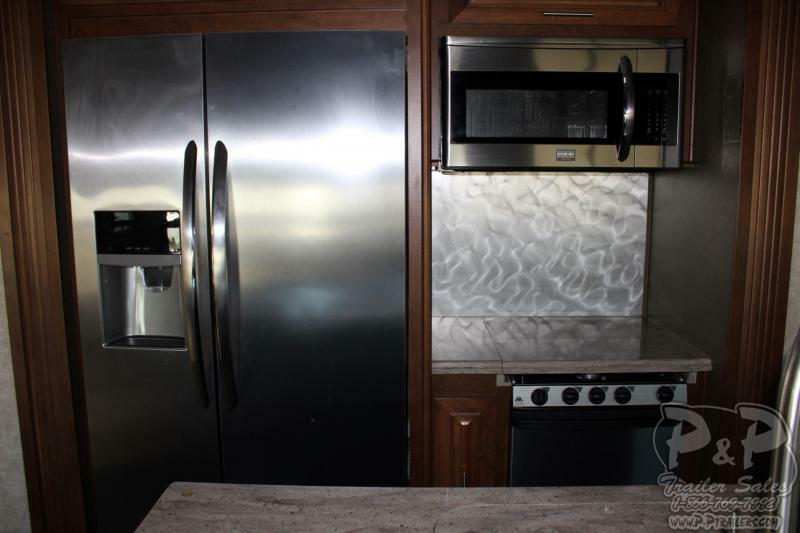 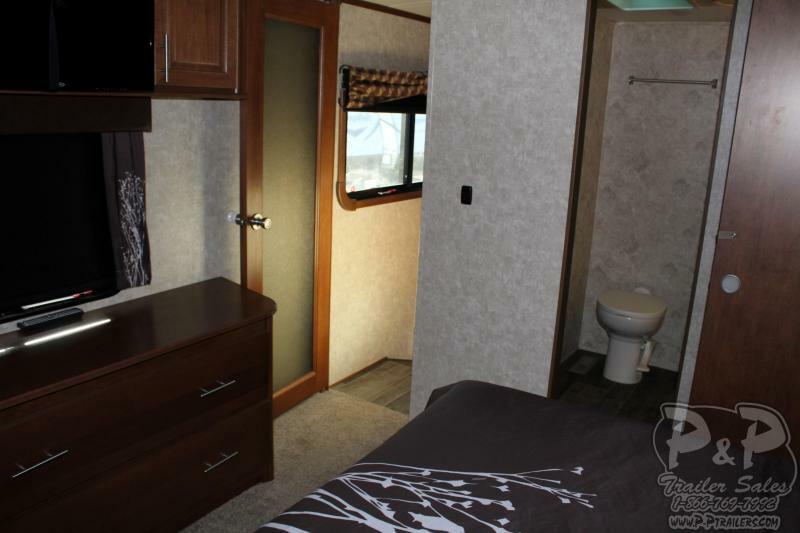 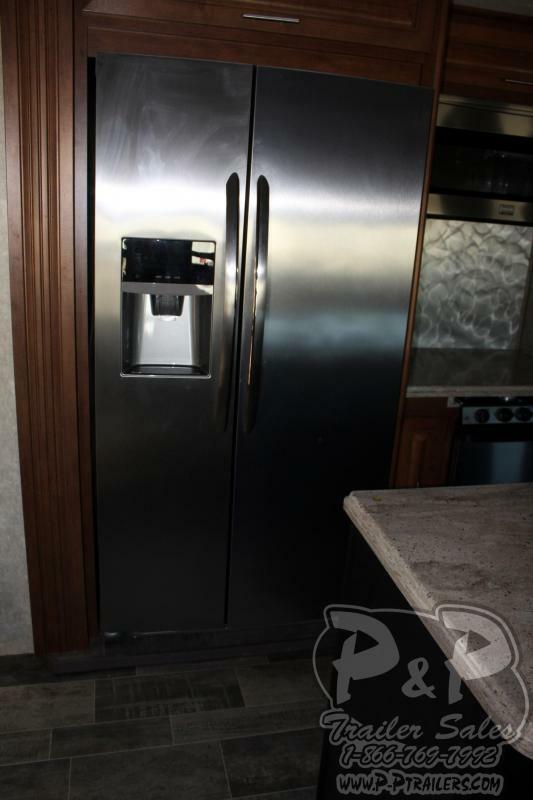 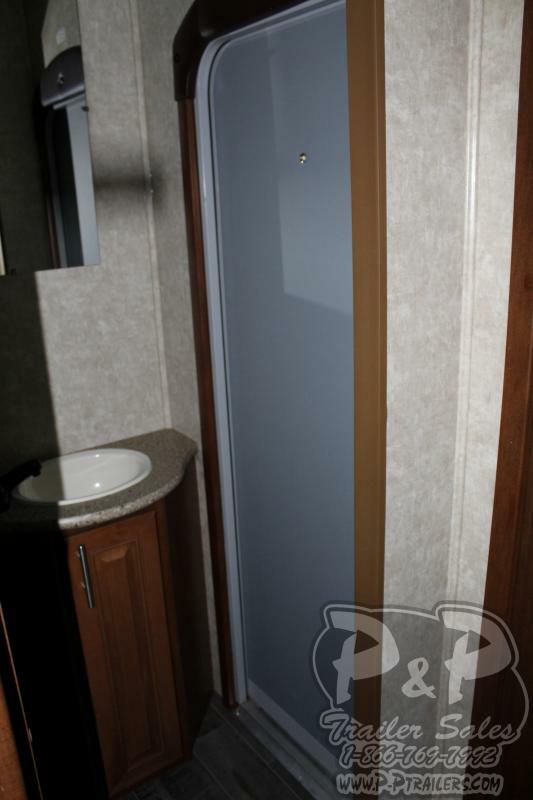 This trailer has a bunk house to die for, with apposing slides it also has its own half bath with a door to access from the outside but don't worry parents, there is also a peep hole to see who may be at the door! 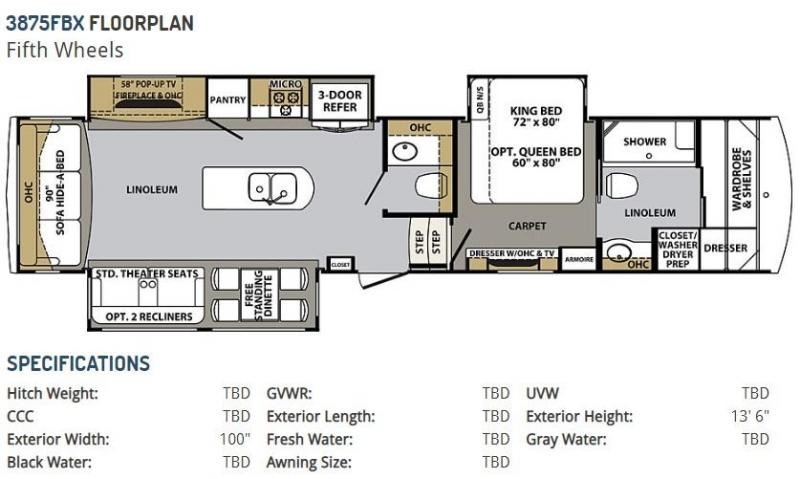 Some other features it has is wash/dryer prep, stainless steel double door full size fridge, king bed in master, huge closet in master with sliding glass doors and interior shelf, 48x30 shower with seat in master bath, U-Lounge dinette seating, island with stainless steel double sink and faucet, ceiling fan in living area, and lots of cabinet space.